Love Poems - Best Love Poems - Could You Be the One for Me? 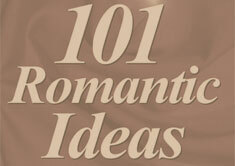 Love Poems - Best Love Poems - Could You Be the One for Me? And I don’t want to be taken for a ride. And later wonder if you’ve been telling me lies. But is it love or just desire? And wish that this passion would last forever. But I wonder if what we’re doing is right. And a touch that brings me such bliss. So, could you be the one for me?